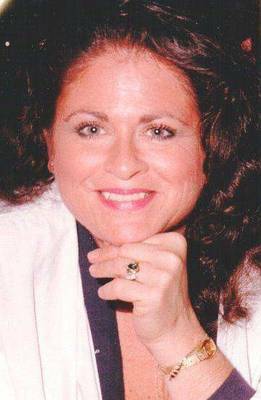 Whitcraft, Susan M. , - 65, of Manahawkin, NJ passed away on February 24, 2019 after a short, but courageous battle with cancer, with her loving husband by her side. She was employed to work at her husband's side at Okie's Butcher Shop in Surf City, NJ. She was formerly employed at the Claridge Casino as a Security Guard, and was owner and operator of Stafford Electrolysis, Manahawkin, NJ. Susan selflessly served as a mother, caretaker, and dear friend to everyone that she encountered. Susan enjoyed slot machines, cards, fishing (from New Jersey to Florida), and everyone in her life. She had a passion for birds and gardening. She is predeceased by her parents, Alfred and Grace Prestileo. She is survived by her husband, Robert V. (Okie) Whitcraft; son, Clayton T. Whitcraft, stepson, Robert V. Whitcraft, Jr.; stepdaughter, Nicole M. Whitcraft and brother, Alfred Prestileo, wife Linda, nieces Diana, Cristie and nephew Michael along with many more loving family members, friends and her beloved pets, Champagne and Ricky. A Celebration of the Life of Susan M. Whitcraft will be held on Thursday, March 7th from 2 pm to 5 pm at the New Jersey Maritime Museum at 528 Dock Road, Beach Haven, NJ 08008 for which she was a staunch supporter, donor of historic memorabilia and volunteer at its annual fundraiser. Casual dress requested of all attendees. In lieu of flowers, tax deductible donations in her memory may be made to the NJ Maritime Museum at www.NJMM.org or to the NJMM, 528 Dock Road, Beach Haven, NJ 08008.